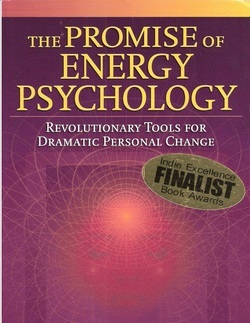 Energy Psychology is a new discipline that has been receiving attention due to its speed and effectiveness with difficult cases. It integrates ancient Eastern practices with Western Psychology. Also known as Emotional Freedom Techniques (EFT), Energy Psychology is a simple yet remarkable healing system that reduces the STRESS that underlies most disease. According to the CDC (Center for Disease Control), 90% of illness and disease is caused by stress! EFT works on a variety of health issues and psychological problems, even those that have been resistant to other methods. It can be learned and applied rapidly, which has contributed to its popularity among millions of people. EFT frees you to live a stress-free future of happiness, health and success and has been proven clinically effective in thousands of cases. Clients have experienced dramatic relief from Trauma, Abuse, Panic, Anxiety, Phobias, PTSD (See EFT Conquers PTSD page), and hundreds of physical symptoms including pain, headaches, breathing difficulties, and symptoms of disease. EFT is truly the Miracle Drug… without the drug! Identify a problem. pain or emotional upset you would like to work on. Give it a name such as anger, sadness, or this pain in my hip. If you are experiencing difficulty giving it a name, you can just name it "This problem". Next rate the intensity of the problem you are going to work on, 10 being the most intense and 0 being no remaining intensity. Then, tap on the points shown while concentrating on and saying the name of your problem. When you have completed a round, recheck your intensity. Then repeat until your intensity has diminished or even reached 0. Click on the Calendar for a list of classes. Take a class TODAY to learn how to easily and effortlessly deal with life's little adventures. Sign up Below for Energy Healing Therapies Monthly Newsletter.